The modern era has created so much to offer. Technological developments bring newer, better concepts. Society determines the success of a person by their ability to spend less than they can earn. By doing so, a person has stability and confidence that is effective in handling emergencies. They are also in a better position to assist others. Stress-free budgeting won’t exempt you from life’s challenges. However, it will allow you to better care for yourself and family which provides stability and ease. Saving money is, by far, the smartest thing you can ever do. Making effective, habitual changes enables anyone to enjoy a higher level of economic independence. It is hard to achieve, but not impossible. Stress-free budgeting requires an understanding of seven concepts that must be understood in order to tackle one of the most common reasons for financial turmoil… extravagant spending. Below are 7 valuable tips for better money management, leading to a life with less stress and more financial freedom. Before making a change, one needs to realize and accept the fact that there is a problem. Only then will you be able to tackle issues without further aggravating a delicate situation. The aim should be to create a budget that is reflective of your essential needs. It will also give you a better picture of what you need over a specific period of time and, with effective disclosure, shed light on where it went wrong. This can tell you a lot about what is happening to your money. Observing weekly transactions will reveal much about small purchases that add up to a good amount. Those small amounts weigh heavily when it is totaled up in your budget at the end of the week. We recommend observing your spending habits so that real-time information and facts are laid out for self-realization. This estimation gives you an idea of what is coming in and what is going out. For example, mortgage, tuition, utilities, credit card bills and any other expense should be allocated. These should all be listed which will enable you to make it as effective as possible. Mandatory expenses need to be taken care of first as these are critical categories in stress-free budgeting. Items such as clothing, gadgets, equipment, and entertainment can create stressful situations. These discretionary expenses identified, along with how you are earning, so that you can determine whether or not your are overspending in these categories. This will be very effective in giving you a clear picture. Paying cash for transactions is the easiest way to get lost with your budget. Using credit or debit cards allows you to easily monitor your expenses because all of the payments are billed and recorded. Paying with a card is going to greatly help your stress-free budgeting by showing you how and where you spend your money. Also, using credit cards has benefits and rewards, which is another perk if you are careful. If you prefer not to use credit, debit cards are effective and an equally suitable alternative. That’s the motto in the world of personal budgeting. This is also our goal and should be focused on excessively. With a budget, you can precisely comprehend how much you have earned and how much you need to spend and save. We highly recommend that you start saving money immediately during the course of your stress-free budgeting and then spend the remainder by allocating money to your respective categories that are mandatory. Using this effective method, you won’t be able to overspend and can enforce saving. You should be putting money into your savings before using any money on luxury expenses. Senator Elizabeth Warren, in her book “All Your Worth”, promoted this method. It is quite beneficial due to its straightforwardness. According to this plan, 50% of all income is allocated to requirements, 20% is reserved for savings and 30% is allotted to lifestyle preferences. Facing difficulty? Trying this simple plan is duly advised. The beauty of stress-free budgeting these days is the vast amount of of tools that are available to assist you in everyday expenditures. Also, there is no single tool that universally works for everyone. Due to each individual’s situation, it varies vastly. 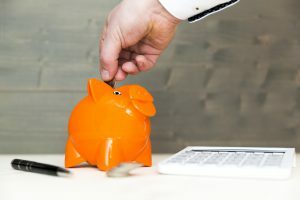 For some, scheduling and daily monitoring are sufficient, while others may require a range of budgeting applications connected to personal bank accounts that utilize smart technology.